I was quick to get addicted to this anime. 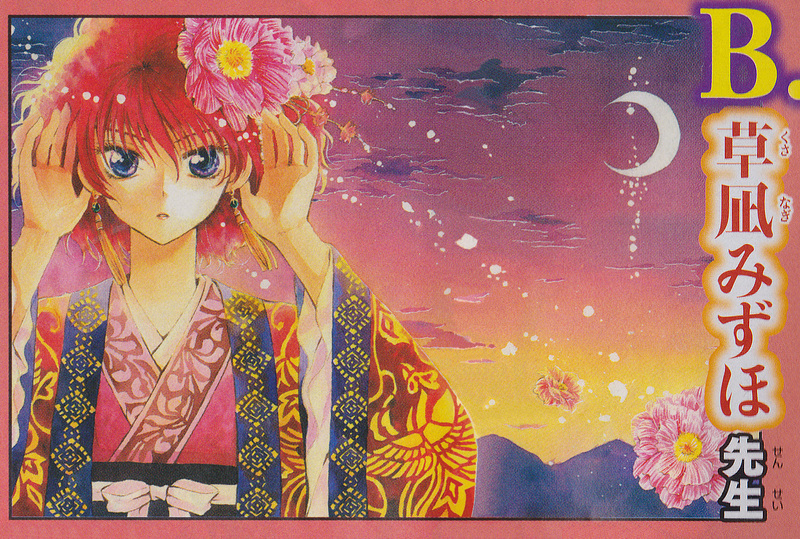 Akatsuki no Yona has an awesome storyline, characters and lots of action. This story begins with a group of three friends that have been together since childhood. Yona, the princess, Hak, the princess’s bodyguard and Soo-Won, Yona’s cousin and secret crush. All three of these characters are so different and unique in there in way. That you can’t believe that their friends. Hak, is a genius fighter with a mysterious past and a smart mouth. I think he loves ticking Yona off. Yona is the spoiled princess that gets whatever she wants. But, she isn’t a horrible person she’s actually sweet and nice. Last but not least, Soo-Won, who is Yona’s cousin. He’s handsome and just as sweet. I think he’s as spoiled as Yona, but he’s also a fighter. I don’t know if he’s just as good as Hak. But, I would like to see them fight one of these days. If there is one thing that I didn’t like about Yona it would have to be how they should how spoiled she was. You know how rich kids or how kids act when they get, whatever, they want but when the parent finally says no, they through a tantrum. Well, in the beginning you’ll see that Yona has a secret crush on Soo-Won, so when the subject of marriage came up and she told her father that she wanted to marry Soo-Won, he said no. I think in her own way she lost it because the way they told it was if she was thinking the world was going to end. I really don’t know why her father said no to her about marrying him. He seems like an okay guy. But, their must have been a good reason for it because he went and told her that the person who marries you will be the next king and she has to think what would make him happy. Translation: I don’t think he would make a good king and I don’t think he likes you like that. The whole time I felt like something wasn’t right after that arguement.Later, you see the real reason why he didn’t want her to marry him. It’s quite messed up and expected in unexpected at the same time. The poor girl was left in shock for days. But, don’t worry the awesome and evil-looking Hak was there to save the day! After, that those two traveled all over the world because they were forced to leave their home. I knew that, eventually, some romance was going to kick into the story. Since, Soo-Won is now out the picture and she’s now traveling around with Hak, who I think has secretly liked her for a long time. He just suppressed it because he knew that she liked Soo-Won and not him. If there is one thing I like about Hak. It’s the one thing that you don’t want to do which is get him angry. For some reason, he becomes more good-looking to me when he suddenly becomes enraged. Anyway, if you don’t mind the incompleteness of this story then I suggest he start reading this immediately. You won’t regret it.